Switch to Story View and go to the Home tab on the ribbon. Click Question Banks and choose Create Question Bank. 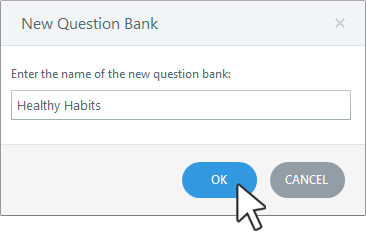 When prompted, enter a name for the question bank and click OK. 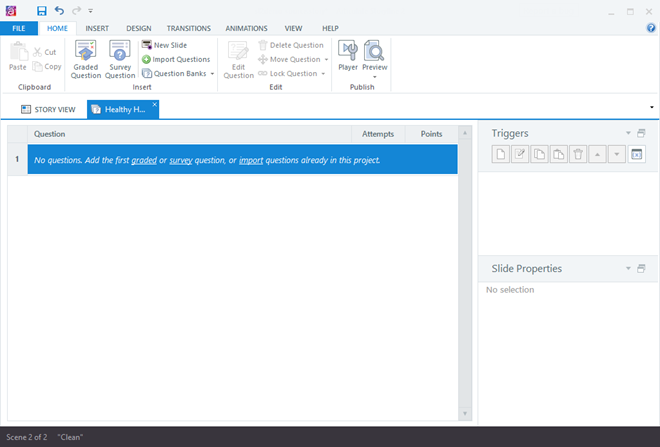 The new question bank will open, where you can add and edit slides. 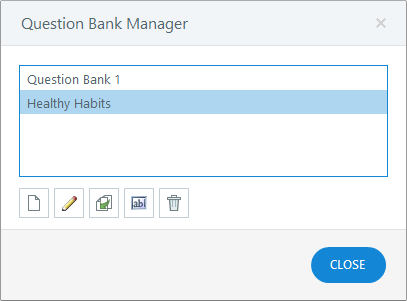 To add, edit, duplicate, rename, and delete question banks, open the Question Bank Manager. Click Question Banks and choose Manage Question Banks. Create: To create a new question bank, click the icon that looks like a blank piece of paper in the lower left corner. A new question bank will be added to the list, and its name will be open for editing. Type the name you want for your new question bank, then press the Enter key on your keyboard to open the question bank for editing. 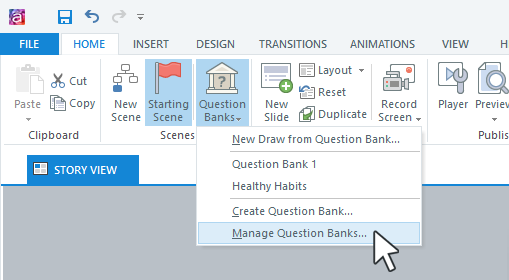 Edit: To edit an existing question bank, click the pencil icon in the lower left corner. (Tip: You can also double-click a question bank to open it for editing.) Learn more about editing question banks. Duplicate: To duplicate an existing question bank (and all its slides), click the icon that looks like two rectangles. Rename: To rename a question bank, click the ab icon, type a new name, and press Enter on your keyboard. Delete: To delete a question bank (and all its slides), click the trash can icon and confirm your deletion request.